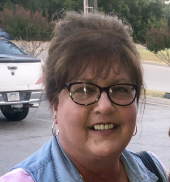 Catherine Lou Jetton, 58, of Paragould, died on February 8, 2019, at Arkansas Methodist Medical Center. Cathy was a Para-professional at Oak Grove Middle School and a member of the Finch Baptist Church. She is survived by her husband, Chester Jetton of the home; daughter, Lauren (Justin) Roberts of Paragould; parents, Carroll and Rachel Worley of Paragould; brother, Gary Worley of Paragould; father-in-law and mother-in-law, Jimmy and Gayle Jetton of Paragould; brother-in-law, Lee (Sandra) Jetton; nephew, Zack Jetton; and great nephew, Zaiyden Woods. Visitation will be Tuesday from 6-8 pm at Heath Funeral Home. The funeral service will be Wednesday at 10 am at Heath Funeral Home with Rev. Rickie Rose officiating. Burial will follow in Linwood Cemetery. Pallbearers will be Lee Jetton, Zack Jetton, Tim Hamilton, Rick Cure, Jamie Dial, and Brett Gibson. Honorary Pallbearers include Jimmy Jetton, Justin Roberts, Don Orick, Mike Roberts, Paul Nedelman, and Darron House. To send flowers or a remembrance gift to the family of Catherine Jetton, please visit our Tribute Store. "Email Address" would like to share the life celebration of Catherine Jetton. Click on the "link" to go to share a favorite memory or leave a condolence message for the family.